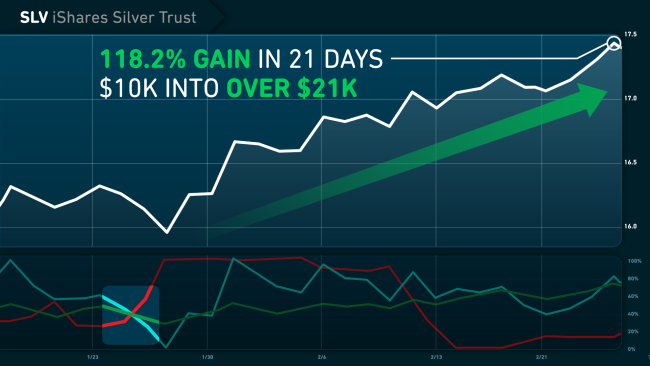 The fast-paced technical trading service, Stealth Profits Trader, shows regular investors how to profit just like pros – taking big, reliable gains quickly, over and over, with minimal risk. Editor D.R. Barton scours the market to identify the nearly invisible, short-term “stealth” stock trends that turn into fast gains, often in just a few days. 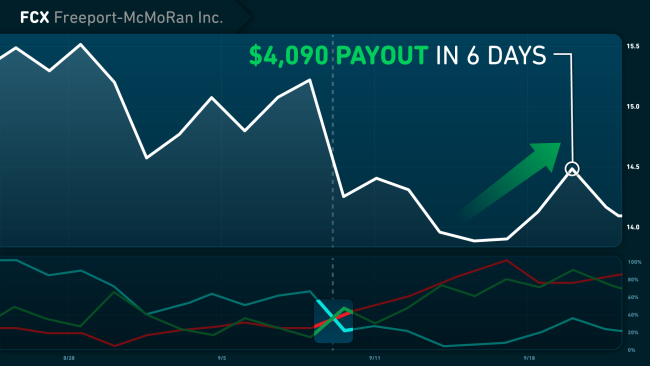 This is a battle-tested technical trading program anyone can use to create big profit “paychecks” for just a few hours of work. The best part is, it works in any market or stock movement – bull, bear, or sideways. 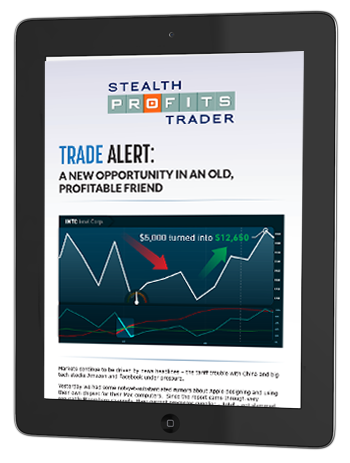 If you’re an Stealth Profits Trader subscriber, click here to login. 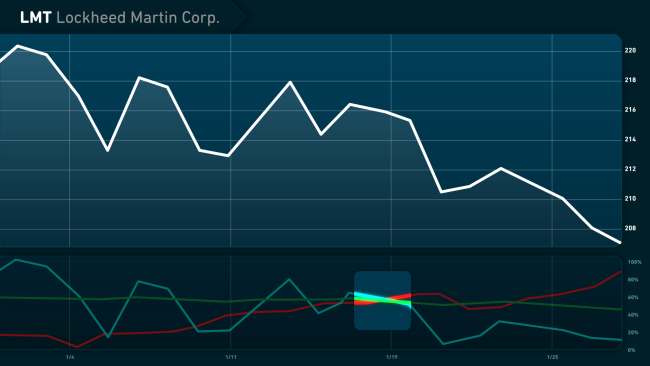 If not, see below for more information about Stealth Profits Trader. My name is D.R. Barton, Jr. When it comes to the stock market, most people are leaving money on the table. This is especially true when it comes to day trading strategies, which often produce gains of 10 percent or less. That’s just not enough. You might know me from my hook strategy, my segments on “Varney & Co” on the Fox Business Network, or my free 10-Minute Millionaire newsletter. Or perhaps you’ve never heard of me. What you need to know is that I’m a self-made millionaire. I didn’t land a cushy CEO gig. Instead, I learned how to play the stock market effectively. My hook strategy allowed me to leave my job as a chemical engineer at DuPont and trade professionally, which meant I got to spend more time with my family and friends. Now that I’ve reached multimillionaire status, I want to share what I’ve learned with people like you. By teaching day trading strategies to others, I help them become financially secure and avoid the problems that come with having too little money in the bank. Plus, I want to help people ensure they have a healthy retirement account. After working for 30-plus years, you deserve some time without the nine-to-five. And with Stealth Profits Trader, that day might come sooner than you think. I’m going to teach you everything you need to know about my day trading strategies using the hook. There’s no catch. But I also want to let you know that you’re not alone. 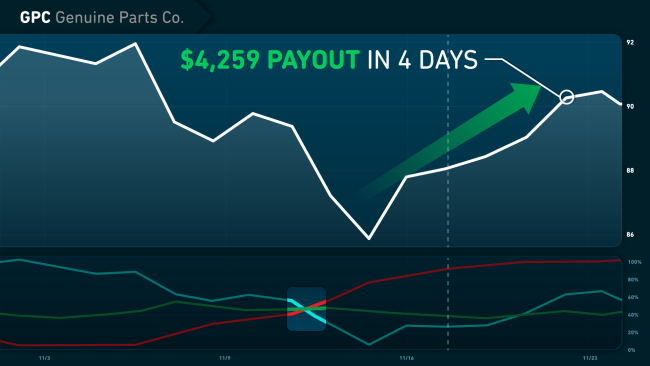 My readers have gained tremendous value from my Stealth Profits Trader system, which not only teaches you how to find the hook and leverage it, but also provides real-time trading tips and alerts so you can cash out faster than you would have thought possible. The hook pattern, which I’ll describe in detail below, allows you to predict with amazing accuracy when a stock is going to shoot through the roof. Furthermore, I only recommend low-volume stocks, which means there’s plenty of room for people to ride your coattails and boost the price per share even further. I’m committed to creating a community of people who want to leverage the stock market to their advantage using day trading strategies that work. I host conference calls with my readers, send out timely alerts, and provide tons of other value. There’s no reason why you shouldn’t profit from what I’ve learned since becoming a 10-Minute Millionaire. About four years ago, I became the first and only person I know to discover this mysterious STAR Pattern. Most importantly, I found that this STAR Pattern consistently appears just before certain top-tier stocks erupt for big, fast… and totally unexpected gains. You can see the STAR Pattern right here, before Kroger shot up, creating the opportunity for a surprising 200% PROFIT IN 34 DAYS. Here it is before the S&P 500 Index erupted and caused an unforeseen 111.2% PROFIT IN SEVEN DAYS. Here’s the STAR Pattern, just days before iShares Silver Trust initiated a DOUBLE with a stunning 118.2% PROFIT IN 26 DAYS. 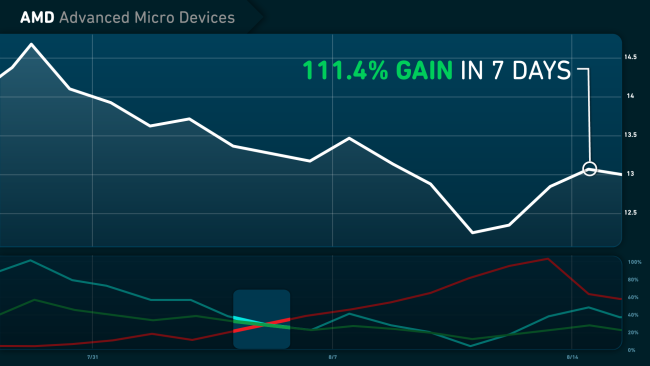 Here it is again right before Advanced Micro Devices generated an unpredictable 111.4% PROFIT IN JUST FOUR DAYS. 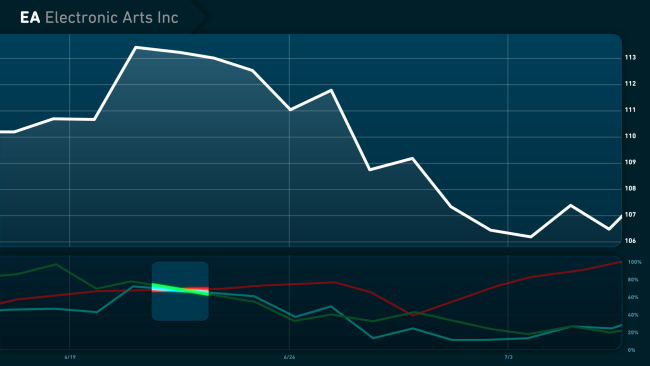 And you can clearly see the STAR Pattern on PowerShares QQQ. Just before it shot like a rocket for the chance at a startling 71.6% PROFIT IN JUST ONE DAY. That’s just a tiny sample from my published track record. This STAR Pattern Cracks the Code to an Entire Galaxy of Unexplored Profit Opportunities. By boldly taking everything you’ve ever heard about finding big stock winners… and tossing it right out the window. You see, when it comes to capturing some of the biggest, fastest, and most unexpected stock treasures month after month… traditional methods have NEVER worked anyway. THEY DON’T MAKE ANY DIFFERENCE. If they did, the incredible gains I’m showing you today wouldn’t be so completely unexpected in the first place. Fortunately, I figured out that all you need to capture these exciting new windfall opportunities is the STAR Pattern. Now, let me be perfectly clear. This is NOT about hoping to get lucky. In fact, this wealth-building STAR Pattern is the complete OPPOSITE of that nonsense. BEFORE they suddenly erupt for huge windfalls that virtually nobody else sees coming. Let’s dig deep behind those gains I just showed you, and you’ll see exactly what I mean. As one of the largest food retailers in the U.S., Kroger has been a rock-solid company since 1883. 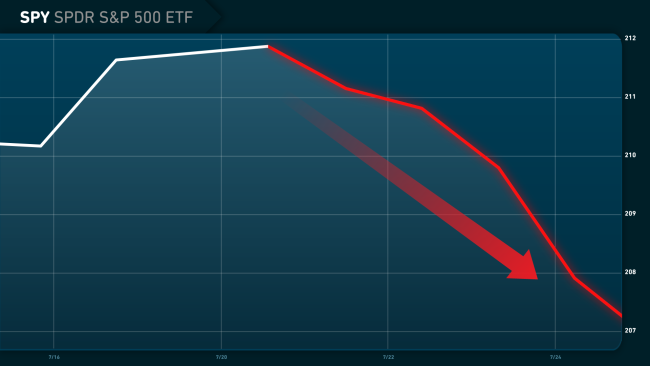 But take a look at this chart and you’ll see it wasn’t looking very solid. After a pretty big run-up, Kroger was heading straight back down. 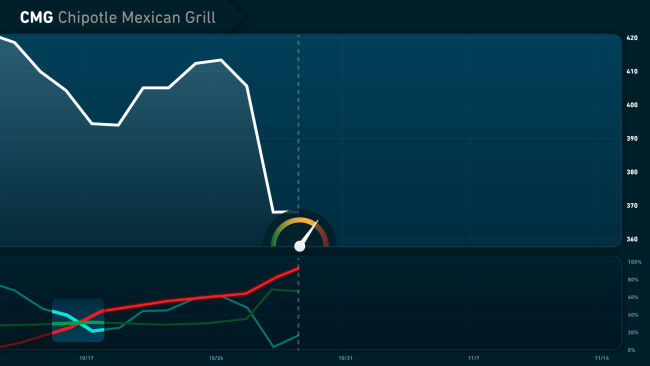 Now, traditional analysis would have attempted to explain the drop with all kinds of technical indicators. Others would look for explanations in market factors like growing pains, seasonality, or supplier issues. Still, others might speculate that Kroger was feeling the pinch of the entire sector. After all, traditional grocers had been hemorrhaging market shares – some 15% in the previous 10 years. Truth is, it could have been a lot of things. But whatever the possible reasons… THEY DIDN’T MAKE ANY DIFFERENCE. Right before Kroger unexpectedly shot up like a stealth missile and produced a surprisingly fast 200% GAIN! 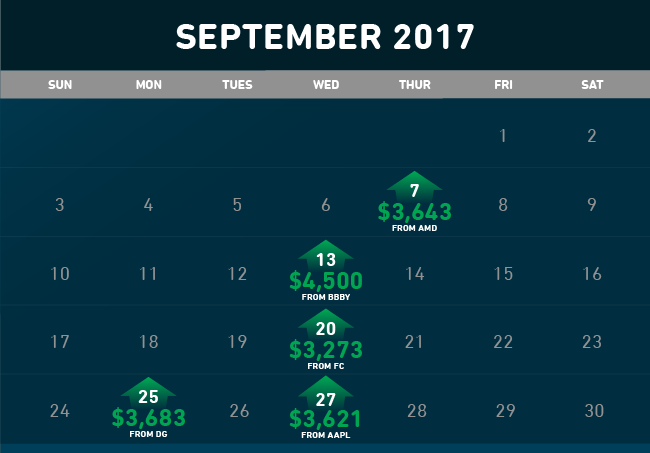 The few people who knew about that STAR Pattern could have more than DOUBLED every $5,000 invested into $13,176… in just 34 days! Now let’s dig into the S&P 500 Index (SPY). For five straight days, it was dropping like a rock. Now, I could tell you that I knew this was going to be a minor correction. Or I could blame the drop on trade wars, Middle East tensions, or politics. Or I could use dozens of other excuses the media talking heads were using at the time to try and explain the unexplainable. But the truth is, none of that MAKES ANY DIFFERENCE. It would be nothing more than a guess. And I REFUSE to risk one cent of MY money solely on a guess. YOU shouldn’t either. You need to invest your hard-earned money on what you KNOW. 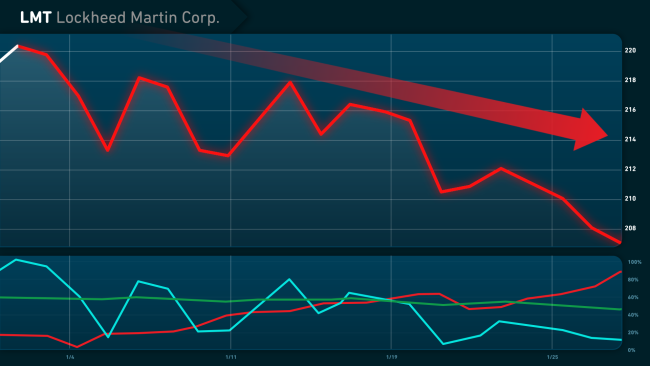 And the one thing I KNEW that nobody else did, is that the STAR Pattern suddenly appeared on SPY’s chart. 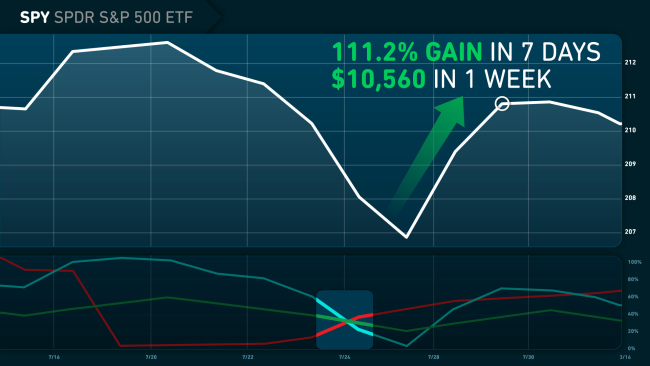 And within seven days, SPY shot up and produced a completely unexpected 111.2% GAIN! 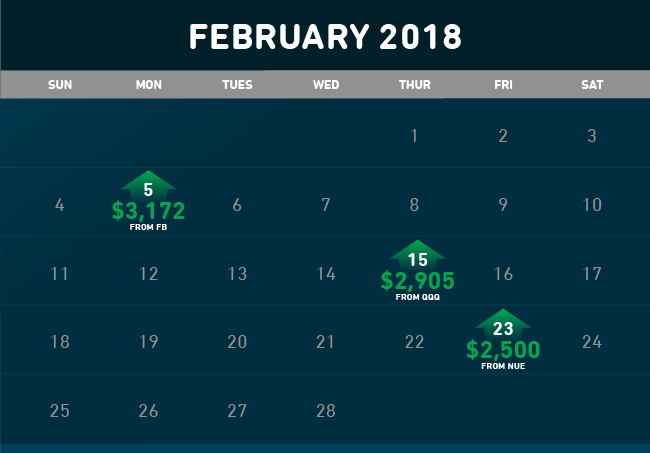 In other words, knowing about that single STAR Pattern, you could have been in position to more than DOUBLE $5,000 into over $10,560… in just one week. 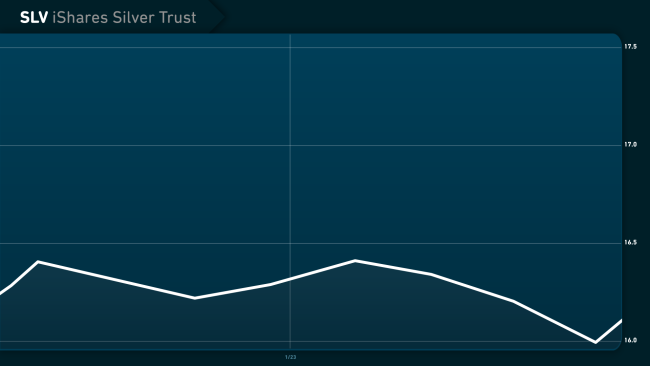 Next, let’s take a look at what iShares Silver Trust looked like early last year. As you can see, this is about as boring as they come. SLV just wasn’t moving anywhere. Some people guessed that market manipulation was artificially keeping silver prices down. Others blamed the cost of mining silver in Mexico. Some even blamed President Trump. The truth is, nobody really had a clue what was going on. And the guesses DIDN’T MAKE ANY DIFFERENCE anyway. UNLESS you happened to know that the STAR Pattern appeared right here on January 24. In that case, you wouldn’t have been surprised at all that it was going to shoot up very soon. 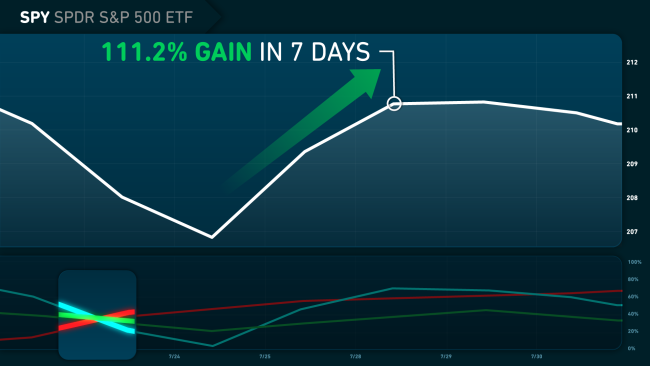 And you could have been rewarded with a whopping 118.2% GAIN IN 21 DAYS! That’s the chance to turn every $10,000 into over $21,000 in less than four weeks! 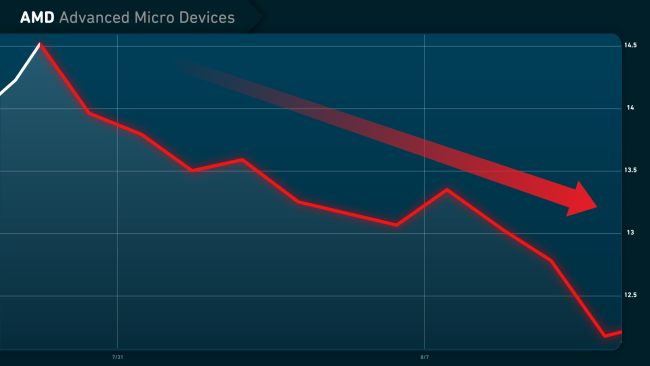 Now let’s look at Advanced Micro Devices. You can see that it was in a drastic slide for most of August 2017. In fact, by August 21, it had dropped a staggering 18%. Some blamed the drop on analysts who had just declared the stock overvalued. Others speculated that the entire sector was losing traction. Still, others saw this as a repeat of a bust pattern that AMD went through in 2013. What was really going on? Nobody knew. And IT DIDN’T MAKE ANY DIFFERENCE. EXCEPT for those, like me, who saw the STAR Pattern that appeared on August 7. Sure enough, anyone who knew about that STAR Pattern could have DOUBLED their money, pocketing a quick 111.4% gain in just seven days. Now, you want to talk about REALLY fast, unexpected gains? 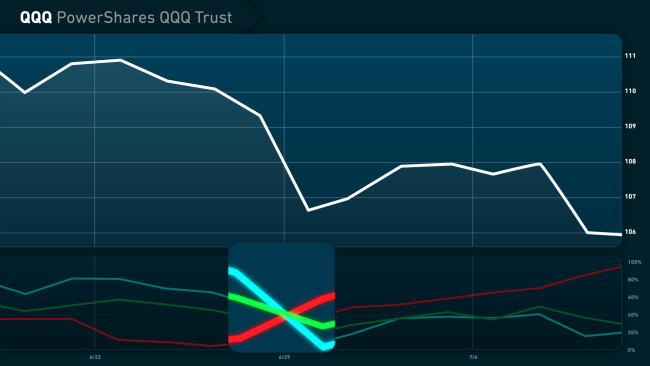 Take a look at what PowerShares QQQ Trust did. This fund indexes the largest 100 domestic and international companies on the NASDAQ. 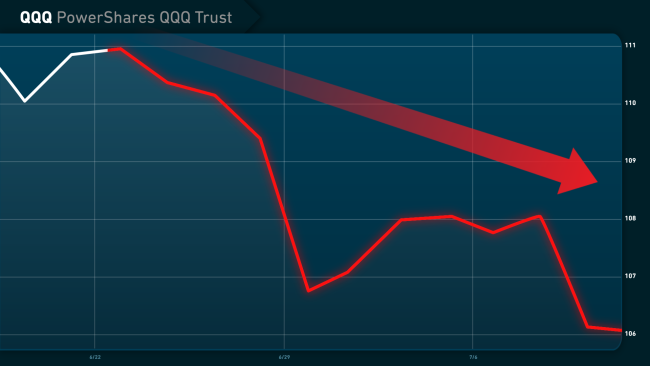 So when the economy is under pressure, QQQ usually is too. 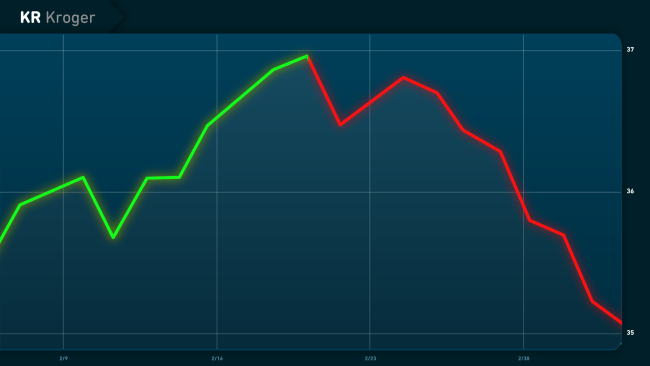 For two straight weeks, QQQ had been dropping like an anchor, losing 4.2%. Or maybe the market was growing tired of the Federal Reserve being constantly in the news with threats of rate increases. The truth is, it could have been all – or none – of those things. And once again, IT DIDN’T MAKE ANY DIFFERENCE. The ONLY thing anyone REALLY needed to see was the surprising STAR Pattern that appeared. As you can see here, acting on that STAR Pattern could have put you in position to pocket an extraordinary 71.6% GAIN IN JUST ONE DAY! That’s an opportunity that could have turned a $10,000 stake into more than $17,000 practically overnight! Here’s the thing… I could show you literally DOZENS of “unexpected” wins just like these. Unexpected by everybody else, that is. Because all these stunning wins are right in my published track record. And they all confirm that this STAR Pattern has been appearing for years. About two or three times every single month. Right before certain trades spew out these unexpected “Pressure Point Payouts,” as I call them. Knowing THAT, makes this the easiest, most stress-free way to build wealth ever! Now as with any investment strategy, there is risk. We’ve had our fair share of losing trades as well. You don’t have to try and figure out any of the “reasons” any more. You don’t need to worry about politics, or headlines, or market factors. And you don’t need to try and time the market or understand technical indicators either. With the STAR Pattern, NONE OF THAT MAKES ANY DIFFERENCE! 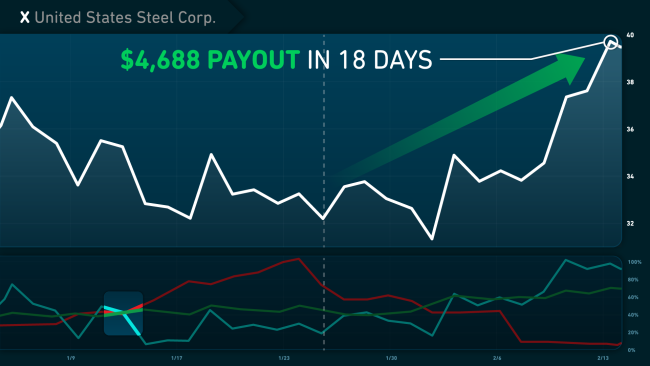 Because once the STAR Pattern appears, these Pressure Point Payouts can hand you money every two weeks on average. 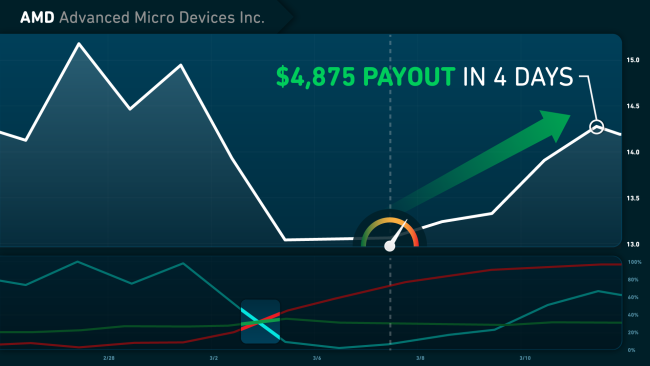 An incredible $5,061 PRESSURE POINT PAYOUT in 10 days on Intel. Of course, payouts that monstrous don’t come along all the time. But when they do, it can literally be life-changing. Those real-life Pressure Point Payouts I just showed you were all based on just a tiny $2,000 stake. Then walked away with TWO AND A HALF TIMES THAT MUCH by a week from Monday. 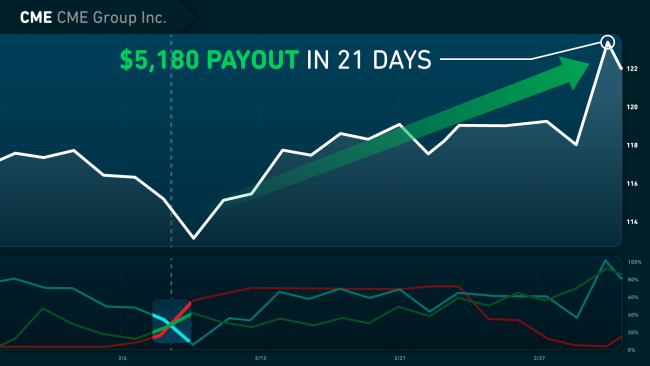 That’s a $25,300 Pressure Point Payout in less than two weeks! And it’s exactly what many Money Map Press readers like Larry Harrison could have done between December 8 and December 18, 2017, on that exact Intel trade. As I said, my name is D.R. 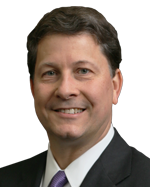 Barton, Jr.
My rigorous training as a Chemical Engineer taught me how to develop simple systems that solve complex problems. But about 20 years ago, my passion changed. Instead of using my expertise to solve chemical problems, I decided to solve financial ones. I Made It My Mission to Find Simple Ways to Squeeze Extraordinary, New Profits Out of Untapped Market Niches. 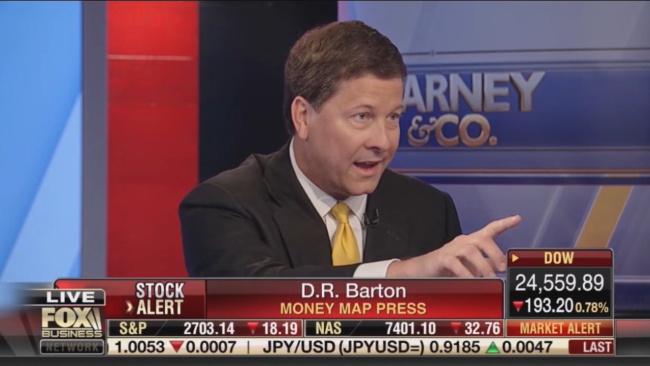 I’ve co-founded a thriving hedge fund… I’ve written a New York Times best-selling investment book… I’m a regular weekly guest of Stuart Varney on Fox Business Channel… and I’ve become a key member of the team here at Money Map Press. Of course, I’ve also made a lot of money. But the breakthrough discovery of this STAR Pattern has become nothing short of a moneymaking game changer for me… and a whole lot of other folks too! You see, I’ve been using this STAR Pattern to help guide a small group of members to this rich, new stream of wealth. I’ve given them 211 individual trade recommendations based on these unique STAR Patterns. And even I have to admit, the results are jaw-dropping. This obscure STAR Pattern has helped me guide people like you… to the chance at 125 unexpected, lightning-fast, triple-digit winners. That’s 125 opportunities for you to at least DOUBLE YOUR MONEY! 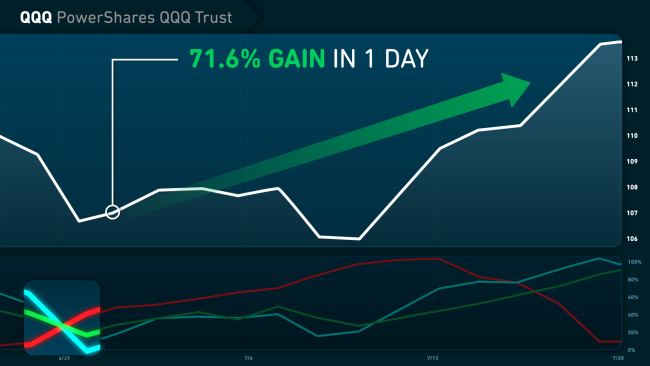 If we were to add them all up, your total gains on those trades alone would equal a mind-numbing 6,867%! Let me put that into perspective for you. 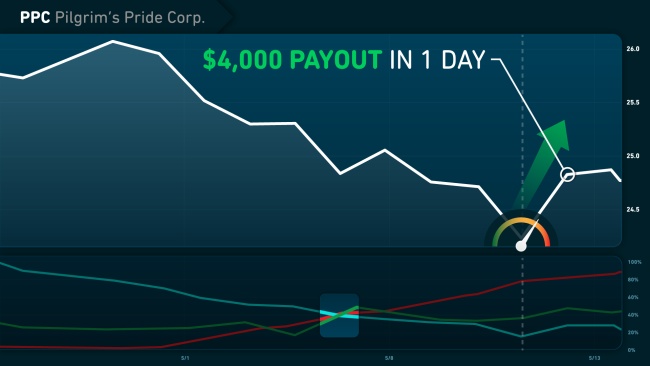 Investing just $5,000 in only those trades would have given you an average biweekly profit payout of $4,153. 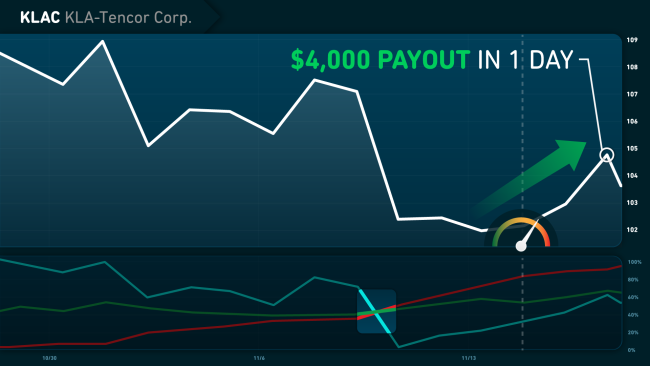 Going in with $7,500, your average biweekly profit payout would have been $6,230. And $10,000 in each would have rewarded you with pure profit payouts of $8,306 every two weeks. THAT’S AN INCREDIBLE $215,956 IN PROFIT IN JUST ONE YEAR. ALMOST A QUARTER-MILLION BUCKS! Now, making a small fortune like that requires some extraordinary luck and timing. But those profits are 100% based on winning recommendations from my actual, published track record. And the numbers don’t lie. How Would Your Life Change if You Could Collect Payouts About Every Two Weeks and Add Almost A QUARTER-MILLION BUCKS to YOUR Net Worth THIS Year? Think about how much better YOUR life and YOUR retirement could be if you only did half that well? Heck, even if you did just one fourth of that… you could still be looking at average biweekly Pressure Point Payouts totaling an extra $53,989 a year. Do what you’ve always wanted to do… and have the time and money to do it! 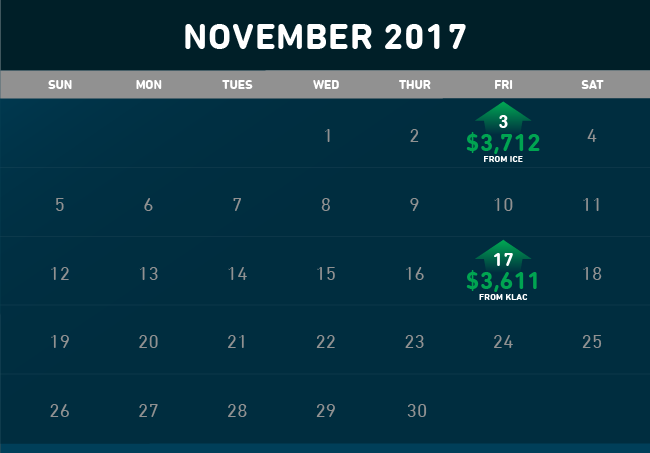 These surprising Pressure Point Payouts could give you the chance to take home anywhere from $3,322 to even $9,418 in pure profit every month… no matter what the market is doing. In fact… and I know this sounds totally CRAZY… I’LL GUARANTEE IT TO YOU! Now I assure you, I haven’t lost my mind. In fact, in the next few minutes, I’m going to spell out exactly how you can take my crazy promise all the way to the bank. First though, I’m going to let you in on the secret behind the STAR Pattern and the extraordinary Pressure Point Payouts it uncovers. Remember how much fun beach balls can be? Just like when I was a kid, I still enjoy a good laugh in the pool pushing a beach ball under the water. It’s amazing how much pressure it takes to hold them down. And as you know, there’s only so far, or for so long, that you can actually keep the ball submerged. That’s the “Pressure Point“ – the split second when the ball is pushing back on you with so much force, you simply can’t hold it down any more. At that point, the ball shoots up like a rocket. Not just TO the surface… but often way above it. 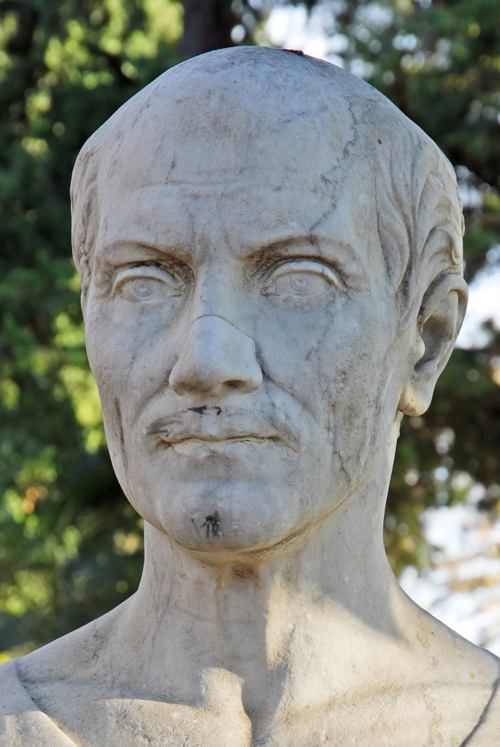 The ancient Greek mathematician and inventor, Archimedes, figured out why this happens way back in 212 B.C. Of course, I doubt he had any beach balls back then, but the physics remains the same. When pressure forces an object to submerge, it experiences upward “pressure points” of equal force. In other words, the harder you push the beach ball under water, the harder it pushes back. Ironically, I used to depend on Archimedes’ Principle all the time to solve chemical engineering problems. Now it helps me solve financial ones. Stocks Are Under a Lot of Pressure. And that makes them act just like Archimedes’ beach balls. As market pressure pushes stocks down… pressure points are pushing them back up. In fact, it’s these powerful pressure points that helped me give these unique, biweekly payouts their name. Now IF… and this is a BIG IF… the stock is fundamentally sound, the upward pressure points will ultimately prevail. And like a flawless beach ball, that stock will skyrocket with profits. You can see it here with Costco. This outstanding company was being weighed down by market pressures. It could have been that Europe’s economic problems were being felt. Maybe it was a ripple effect from China’s record-low GDP growth. It might have even been Costco feeling the squeeze from Amazon.com’s exponential growth. But, as you know by now, IT DIDN’T MAKE ANY DIFFERENCE. I KNEW Costco was as sound a company as they come. So when I saw the STAR Pattern appear right here, I knew Costco couldn’t be held down for long. Sure enough, Costco soon hit the pressure point and created the opportunity for a massive 300% gain in just 12 days! Imagine what you could do with a 300% gain. You could turn a simple $5,000 investment into $15,143! Here’s another one. 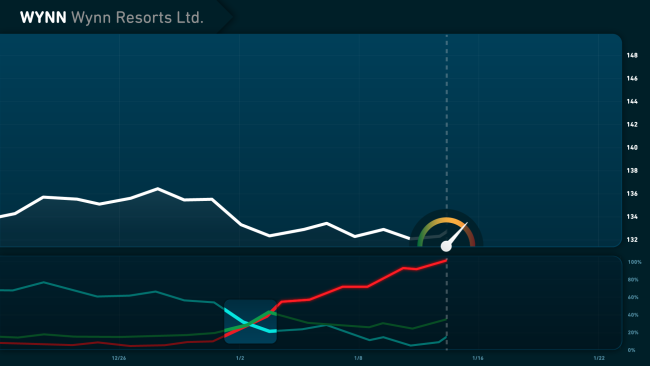 You can clearly see the pressure weighing down video-gaming pioneer, Electronic Arts. Not surprisingly, the stock seems to have begun its dive right around the time EA started making unusual moves with its stock. First, the board authorized a huge share-repurchase plan. Shortly after that, the Chairman of EA sold $11.1 million of his personal shares in the company. On top of that, the stock was being affected by a deadly combination of rising expenses plus disappointing sales of its newest games. However, with the STAR Pattern shining brightly on June 20, 2017, I knew that other stuff DIDN’T MAKE ANY DIFFERENCE. I knew the pressure point was right around the corner. So, I issued my trade recommendation for EA on July 7. And once again, anyone who followed that recommendation could have closed out for a surprising windfall by July 21. 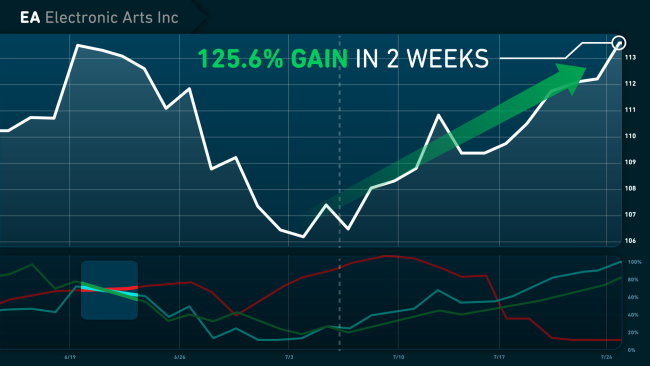 This time it was an INCREDIBLE 125.6% GAIN in just two weeks! 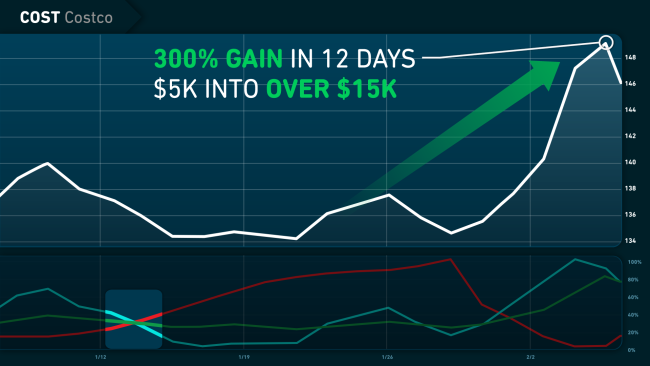 Imagine if you captured a 125% gain with just $5,000 invested. That would add up to a Pressure Point Payout of $10,356. Same with defense giant, Lockheed Martin. Over 20 days, market pressures pushed it down 6.3%. But when I saw the STAR Pattern hit, I knew the pressure point was right around the corner. 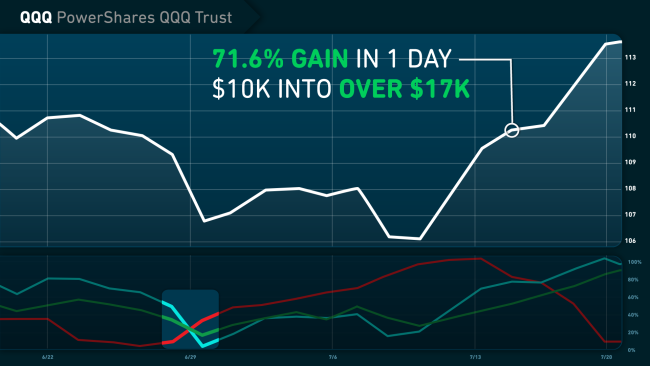 Just 12 days later, LMT jumped and caused an incredible 200% GAIN! 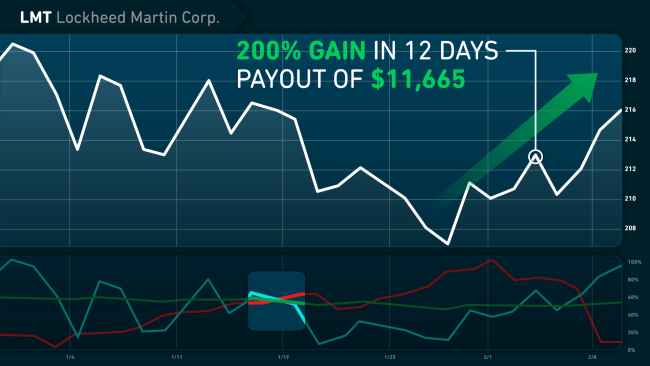 Anyone who raked in a 200% gain on a $5,000 investment, could have walked into any bank with an incredible Pressure Point Payout of $11,665! $12,500 in 26 days on financial stronghold, PNC Bank. Nothing Identifies Pressure Point Payout Opportunities Like the STAR Pattern. Remember, before I discovered the STAR Pattern, I was just like everybody else. No way I could have guided folks like you to biweekly Pressure Point Payouts that could add up to $9,418 or more every month. But that all changed when I discovered the STAR Pattern. It doesn’t simply LOOK like a star. “STAR” is also an acronym for “Stress Trend And Reversal,” which is exactly what each line in this incredible STAR Pattern makes crystal clear. And it also explains WHY this surprising STAR Pattern shines like a spotlight on triple-digit windfalls that nobody else can even see. Let’s start with the “S” for STRESS, or pressure. 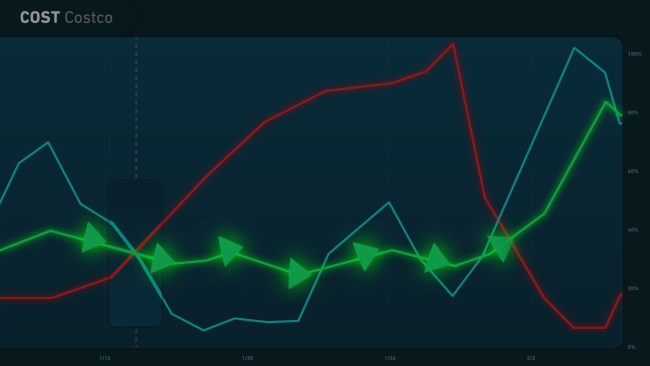 That’s what this RED line indicates. But it measures it in a very unique way. First, using complex formulas, it combines the size, frequency, and duration of price fluctuations into a single number. 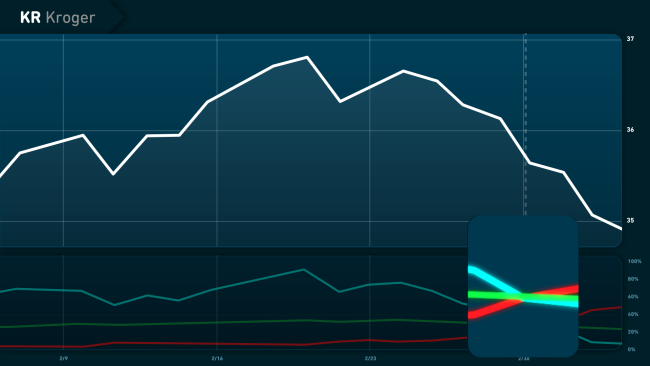 Then it translates that into a clear, visual representation of the upward pressure points on the stock. In other words, this line tells me WHEN a stock is under pressure – and most importantly – how hard it’s pushing back. Before a stock can leap, this pressure needs to be as strong as possible. So in order to be part of the STAR Pattern, this line must always be increasing from left to right. Next comes the BLUE “T” line. This stands for the TREND. This line is a unique measure of volatility. 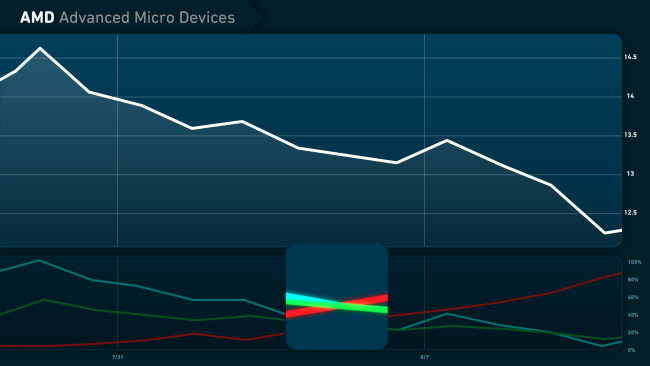 Technically, it calculates the convergence of multiple trading bands in factors of standard deviations. 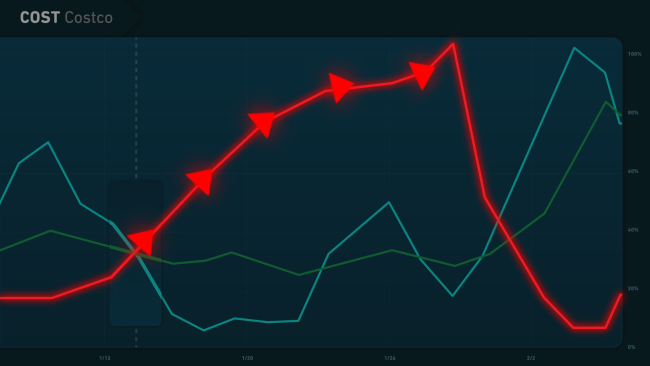 In plain English, this line clearly shows whether the downward pressure behind the current price trend is getting weaker or stronger. 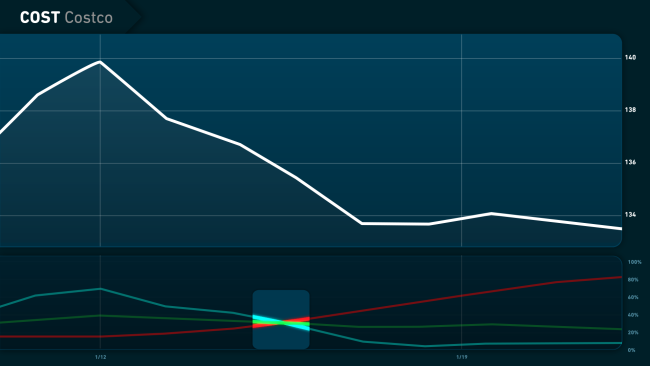 We want to see the downward price trend weakening. So in forming the STAR Pattern, this line must always be decreasing from left to right. Finally comes the GREEN “R,” or REVERSAL line. This line combines average closing prices and daily volume in a precise way. It measures the flow of money into and out of a security over a specified period of time. Think of it as a confidence indicator. Even if a stock’s price is decreasing, as long as investors are confident that it doesn’t have any serious flaws, money will continue to flow into it. And that gives me confidence that a reversal is likely to occur. As the STAR Pattern is formed, this line must be fairly flat or increasing. Now it’s vital that you understand that these three, unique lines hardly ever intersect in this precise way. It’s an unmistakable, TRIPLE SIGNAL that the stock is on the verge of erupting with profits. 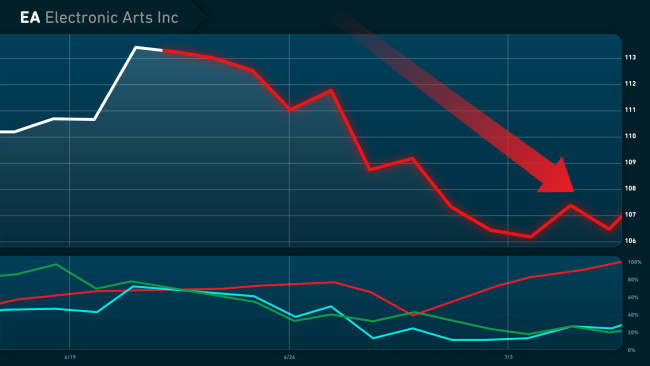 And finally, the GREEN line shows that the stock is not flawed and is likely to make a dramatic leap. There could have been a million possible reasons why stocks like Costco, Electronic Arts, Lockheed Martin, and all the others we’ve looked at so far today were pushed down by market pressures. And another million reasons why they shot up. NONE OF THAT MAKES ANY DIFFERENCE. All you need to know is the STAR Pattern accounts for ALL the possibilities. In other words, you don’t have to guess any more. And you can confidently grow your portfolio with gains nobody else sees coming. The STAR Pattern alerts me to the two or three stocks each week that are primed to surge like a beach ball filled with helium. You just “Follow the STAR” by making the simple trade I recommend. $4,688 from United States Steel in 18 days. That leaves just one more critical piece of the puzzle to find. We need to know WHEN to buy. That’s where my unique Pressure Point Gauge comes into play. Clearly the STAR Pattern can help take some of the guess work out of making money. It’s as easy as turning on a switch. Of course, the key to capturing maximum profits in the shortest period of time is knowing WHEN to flip the switch. Act too late, and you could miss the profit eruption entirely. Fortunately, the secret to perfect timing lies in the red, pressure factor line in the STAR Pattern. When the STAR Pattern first appears, it’s like a pressure gauge turning on in your car. 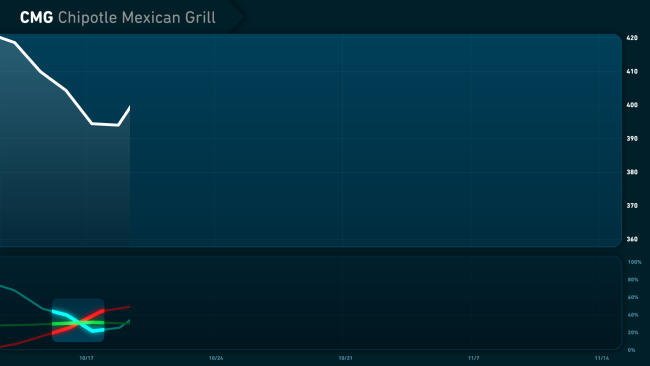 You can see it here on the chart for Chipotle. It’s the wake-up call. You need to pay attention. Something big is going to happen. Just follow the red line! If it continues to soar after forming the STAR Pattern, it tells us the upward pressure is getting stronger and stronger. And when that line approaches the peak of this “Pressure Point Gauge…” you better be in position. YOU could have walked away with OVER THREE TIMES YOUR MONEY! THAT MASSIVE 389% GAIN in just 19 days was like VIRTUALLY PRINTING MONEY! And $10,000 could turn into a payout of $48,900 in less than three weeks! To help you build new wealth by collecting the biggest, unexpected Pressure Point Payouts that most everyone else completely misses. Now, as I’ve said before, no strategy is perfect every time. But think of what even a fraction of these opportunities could help you achieve! And after missing out for decades… it’s crazy how easy it is to cash-in on these incredible Pressure Point Payout opportunities now that I’ve perfected my STAR Profit Strategy. It’s so obvious, a child on the other side of the room could point out the STAR Pattern and tell you when the Pressure Point Gauge is at its peak. For example, you can see the STAR Pattern appeared on Wynn Resorts on January 2, 2018. 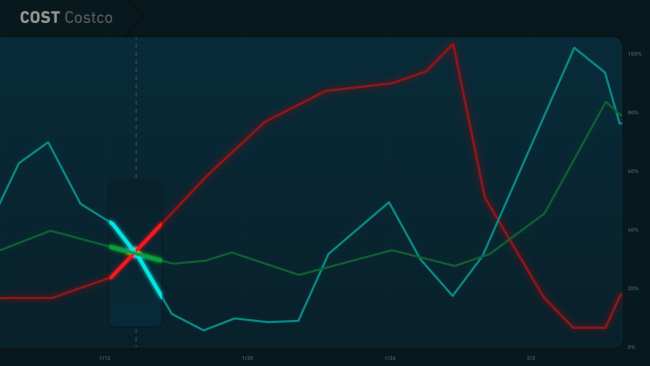 And the Pressure Point Gauge reached its peak around January 12. 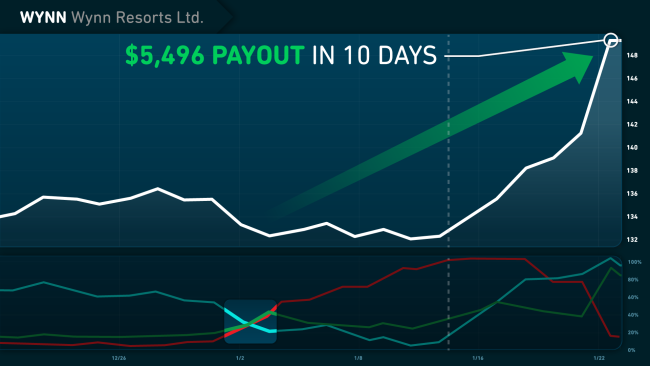 Could have walked away with a $5,496 Pressure Point Payout in 10 days! Let’s look at Genuine Parts Co. The STAR Pattern turned on the Pressure Point Gauge for me right here. I made my trade recommendation eight days later, as the gauge was reaching its peak. And in four days, my readers could have cashed in a fast and easy $4,259 Pressure Point Payout. And a $5,140 Pressure Point Payout on Valero in 19 days. Remember, with 211 Pressure Point Payout recommendations under my belt, the list of winners is huge. And my STAR Profit Strategy keeps leading me to unexpected windfall opportunities like this, month after month. And Boy, Can the Cash from These Biweekly Pressure Point Payouts Can Add Up Fast! 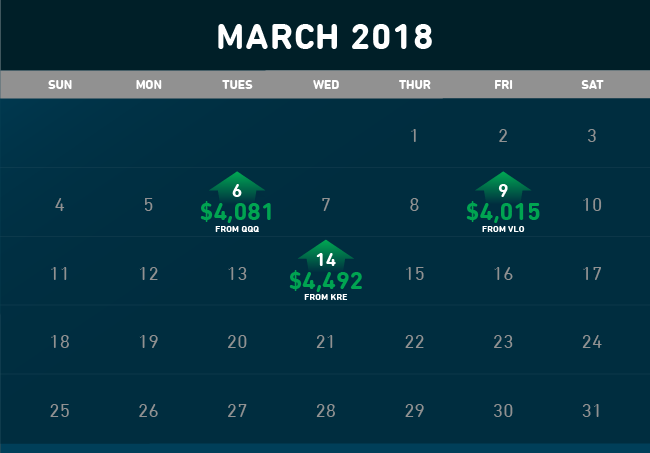 In March 2018, you could have collected three Pressure Point Payouts totaling $12,588. In February, the winners could have added up to $9,399 in payouts for you. So, how does all that add up? That’s $77,574 in Pressure Point Payouts! An average of $11,082 every single month for seven straight months! You’d be looking at $116,361 in Pressure Point Payouts. Now, think you might have liked to have almost a quarter-million bucks in those seven months? Your Pressure Point Payouts could have added up to a spectacular $211,722! THAT’S AN AVERAGE $30,246 IN PAYOUTS EVERY SINGLE MONTH FOR THE LAST SEVEN MONTHS! Now again, those payouts just come from the winners. And as proud as I am of all these windfalls I’ve already helped my readers capture, I can’t guarantee what happens next in the markets. No one can. 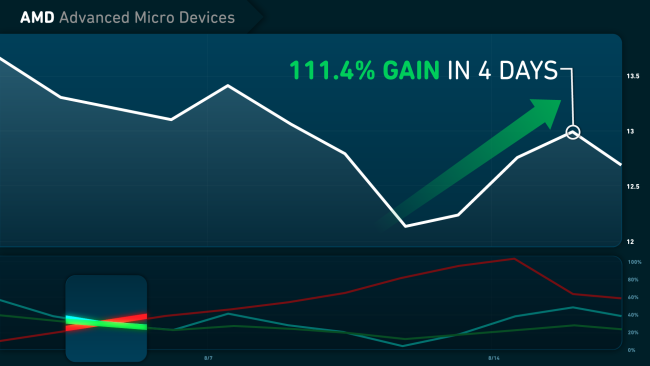 But I can tell you that these exceptional gains are 100% verified in my published track record. So, there’s no denying YOUR profit potential! Think About What You Could Be Doing Right Now if You Had Just Earned That Kind of Extra Money. You’d have the freedom to live your life on your terms. You wouldn’t need to answer to a boss. You’d be your OWN boss. You’d never have to worry about retirement. Of course, exactly how much you earn depends on how much you choose to invest – if any at all. The point is, no matter how much you choose to start with, the results can be nothing short of amazing. And you can sleep like a baby knowing you can have all that with maximized gains and minimized risk! Plain and Simple, I Hate to Lose Money. And I’m Sure You Do Too. So, I engineered my STAR Profit System to be a complete process that combines complex mathematics and – most importantly – zero emotion. It’s the only way I know to shrink risk and maximize potential Pressure Point Payouts on every trade. 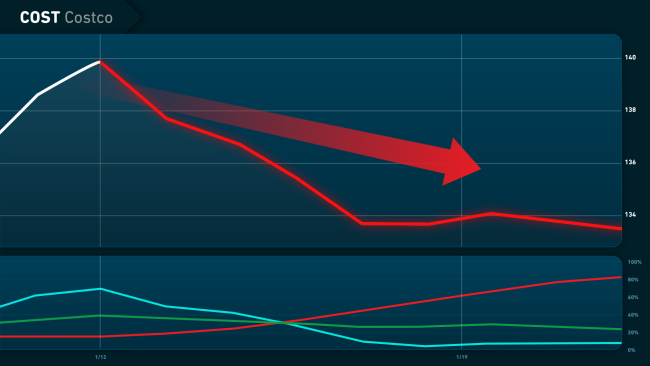 Of course, once my STAR Profit System “pings” the needle, I still personally vet every single trade. Which is why sometimes, my exhaustive personal analysis rules out making any trade at all. That’s also why you’ll notice I usually make my trade recommendations a little before or after the meter actually peaks. I NEVER act one minute before – or after – the precise moment when I determine conditions are just right. You see, no matter how big the potential payout, I REFUSE to put my reputation – or have anyone’s money – at unnecessary risk on less than a perfect situation. In other words, I take care of everything. Just like you would do for yourself, if you had the tools I do. Of course, we always encourage doing your own research, but it can really be as simple as following my lead. Then, should you choose to act, prepare to pocket potential double- and triple-digit Pressure Point Payouts within just a few days or weeks. Put it all together, and you can see why my STAR Profit Strategy is totally different than any other wealth-builder on the planet. And It’s Simply the Very Best Way to Multiply a Small Portion of Your Portfolio by as Much as Two, Four, Even Seven Times, or More. All by cashing in on biweekly Pressure Point Payouts that everybody else is missing. Like the opportunity I gave my readers to turn a $10,000 portion of their portfolio into $48,930 in less than three weeks on CMG. There’s only one way to get the chance to grow rich with my STAR Profit Strategy. Only one way to have my almost undetectable STAR Pattern and Pressure Gauge tell you WHICH stocks are expected to pop… and WHEN. Only one way to cash in about every two weeks on extraordinary, triple-digit Pressure Point Payouts you’re not already getting. It’s my unique investment research service called Stealth Profits Trader. And I’ve created a unique opportunity where you can be one of only 500 Money Morning readers to gain full access today. Now, honestly, I don’t know how long I’ll be able to extend this invitation to you. I can’t guarantee that there will be any more spots available tomorrow. 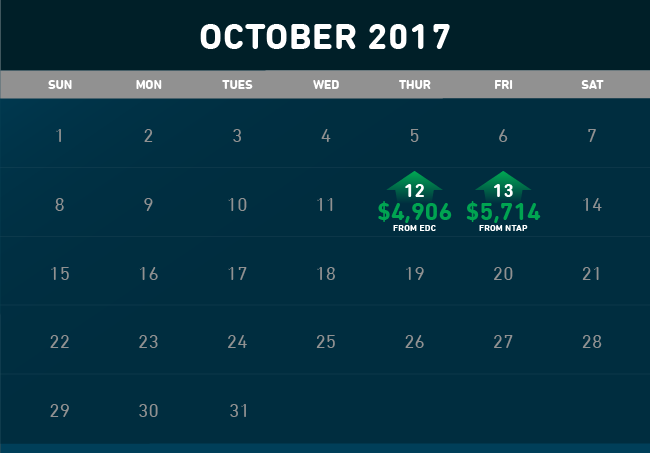 Why Stealth Profits Trader is the easiest way to help build wealth and secure your financial future. 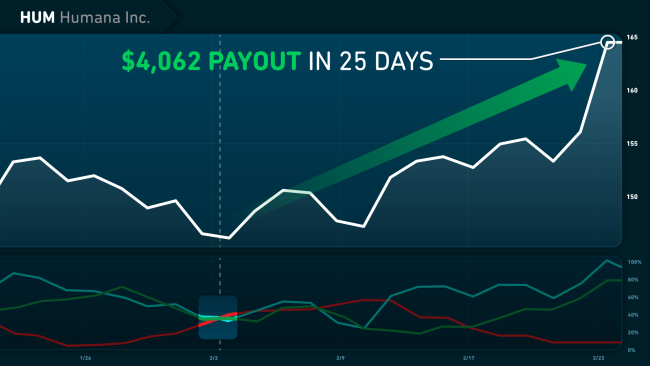 As you’ve seen over and over again, when it comes to cashing in on these unexpected biweekly Pressure Point Payouts, all that matters is WHICH stock will be moving and WHEN. And that’s exactly what my STAR Profit System tells me… like NOTHING else possibly can. I’ve made pocketing these extra new gains incredibly easy for you. Because with my Stealth Profits Trader research service, I do all the heavy lifting. Everything in my power to ensure you can have the best shot to build MORE wealth. And do it QUICKER than you ever imagined! And that’s whether you’ve been trading for years… or even if you’ve never made a trade in your life. Every week, you’ll receive three new trade recommendation alerts on average in an easy-to-read Stealth Profits Trader Email Alert from me. This is an actual trade alert I sent out a couple weeks ago for Intel. As you can see, I start out by identifying the company and giving you the optimal entry price. Then, I show you the STAR Pattern and Pressure Gauge. For Intel, you can see it right here on April 3. Next, I give you a brief overview of the company. And based on my exhaustive analysis, I explain why you might consider investing in this trade depending on your individual goals. I even suggest what percentage of your portfolio you might want to allocate, but of course, that decision is entirely up to you. Finally, in the last part of this alert, I give precise instructions for executing the trade. Now, usually within 24 hours of releasing a trade alert, I follow it up with another email. This one will contain my exclusive “Two-Minute Trade Breakdown” video. This is where I’ll dive deep and give you all my thoughts and details about this recommendation. 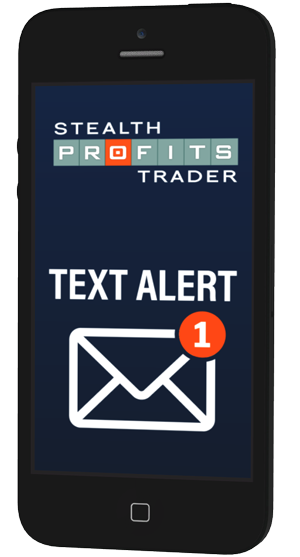 I’ll send your final alert for each trade when it’s time to collect any profits. 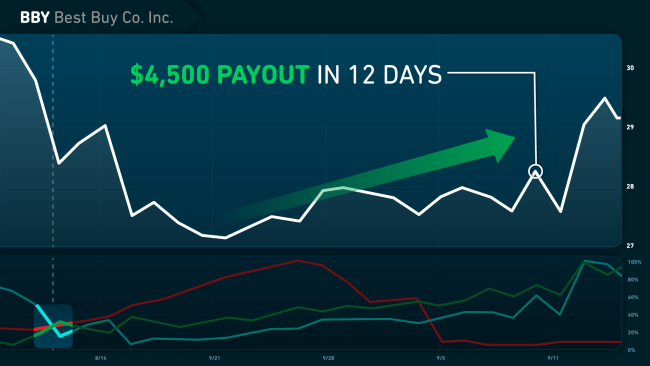 The simple, step-by-step instructions will make it easy to sell your position and collect your Pressure Point Payout. Here you can see that on April 11, I told members to close their entry in Intel and collect our 10th triple-digit Pressure Point Payout this year. You could have nearly TRIPLED every $5,000 invested… with a massive $12,650 Pressure Point Payout! Now as you’ve seen, these big gains can develop quickly after the STAR Pattern appears. 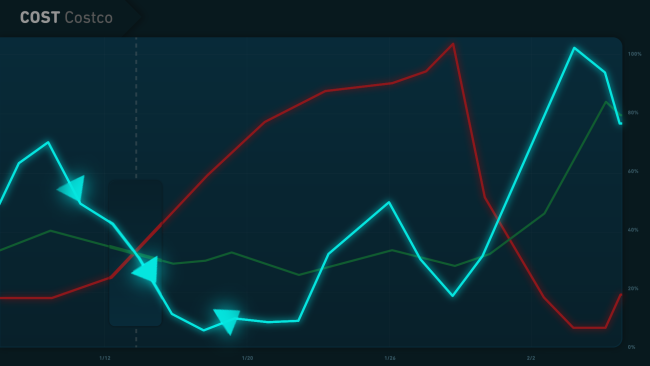 SPY rocketed to gain 158% in 3 days… KLAC popped for 100% in only 24 hours… And EIX shot up 100% practically overnight. So to make sure you never miss one of these lightning-fast opportunities, I’ve set up a text message notification system. With this optional service, you can choose to receive a text message every time I email you an alert. That way you’ll never risk missing any of these fast-moving Pressure Point Payouts. Here’s what may be the best thing about my Stealth Profits Trader service. Because of the power of the STAR Pattern, you don’t need much money to get started. Some folks are investing just a few hundred dollars in each of these trades and cashing out thousands. They’re making this money in a matter of weeks… sometimes just a few days. One of Jesse Easterly’s first trades was a HUGE win. Neil McCall made really quick money. “Newbie” Sean Cahill made a killing on his very first trade. And John Norris made $1,500 in 1 week. Now, just imagine what a subscription in Stealth Profits Trader can do for you. 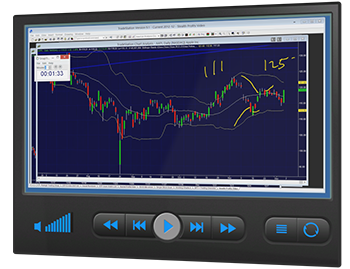 About once a week, you’ll also get another special video I record exclusively for Stealth Profits Trader members. 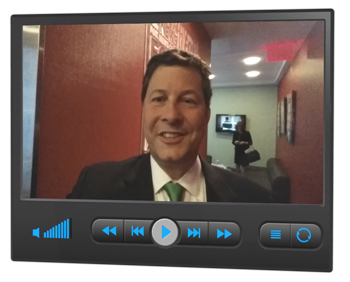 In these videos, you’ll get my unbiased thoughts on the key economic issues of the day. And more importantly, I’ll explain how those things may impact the opportunities you’re taking part in as a Stealth Profits Trader member. You get exclusive access to every single “Two-Minute Trade Breakdown” and “D.R. Unfiltered” video on your password-protected Stealth Profits Trader members’ website. This website also contains an archive of every buy and sell alert, plus a daily portfolio tracker. That way you’ll have the full picture of how every recommendation is performing. If that sounds like a lot… IT IS! Without the STAR Pattern and the Pressure Point Gauge, there would be no way I – or anyone else – could ever know why, or when, these stocks soar the way they do. But with all these pieces working together, I believe Stealth Profits Trader can help you secure your retirement and pad your nest egg with EXTRAORDINARY, NEW gain opportunities you’re not getting now… and won’t likely find anywhere else. And that makes Stealth Profits Trader the most valuable wealth-building asset you’ll find anywhere. No matter how big – or small – your portfolio is today. In fact, you’ll find that it helps you build wealth in four vital ways – like no other person or research service can. First, it gives you Unrestricted Profit Potential. 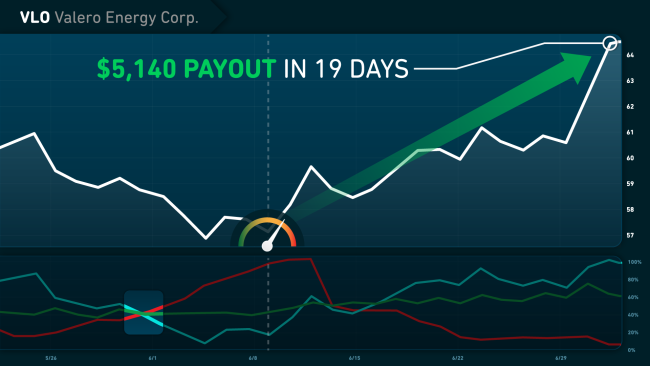 Stealth Profits Trader gives you exclusive opportunities to rake in extraordinary gains from top-tier stocks that nobody else sees coming. And that’s regardless of what sectors they’re in. So following Stealth Profits Trader, your investments will be naturally diversified because you won’t be limited to any niches at all. Second, it helps you Profit in Any Market. Most trading research strategies are limited to only one type of market. And that’s usually up or down. But with my innovative STAR Profit System driving the analysis and recommendations in my Stealth Profits Trader service, you’re always in the game. 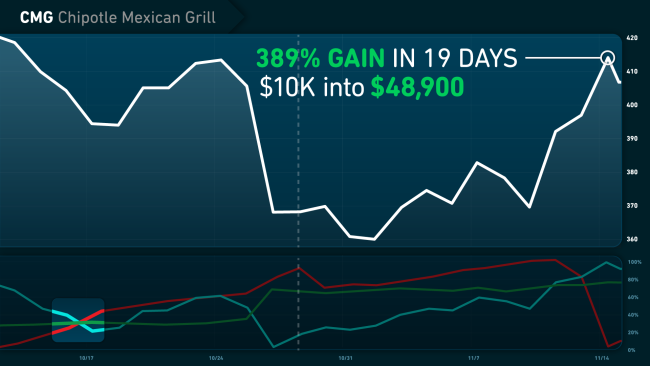 You’ll receive an average of three email alerts – three unexpected Pressure Point Payout opportunities – every single week no matter which way the market, or particular stock is trending. Third, it lets you Build Wealth on YOUR Schedule. All you need is about one hour a week to read and follow the detailed instructions in each email alert. And I base all my recommendations on the anticipated next day’s open price. So, you can take your time and make any trade before, during, or after market hours. There’s no need to stay glued to your computer. No need to feel rushed. No need to worry about missing out. 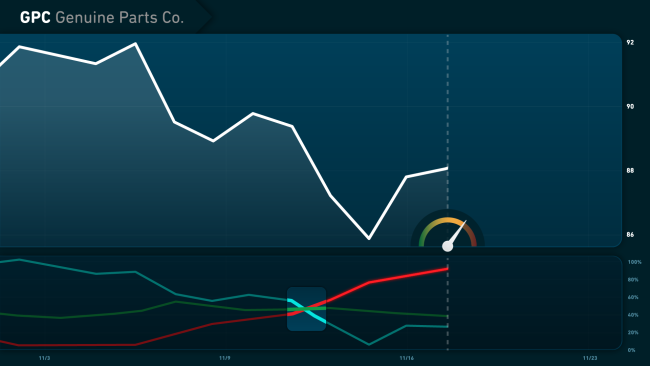 Finally, Stealth Profits Trader can give you Unparalleled Peace of Mind. Emotions are an investor’s worst enemy. They can cloud your judgment, cause bad decisions, and even affect your health. But with Stealth Profits Trader, once you decide which of my recommendations you’d like to follow, you never have any anxious waiting or wondering. $4,608 from Micron on May 15. Imagine getting these kinds of returns! Month after month. Like clockwork. And I fully expect you could do MUCH better than that. In other words, this is a serious opportunity to make serious money. And to be frank, it’s priced accordingly. The retail cost of a one-year subscription to Stealth Profits Trader is $5,000. But here’s how it could eventually be FREE! 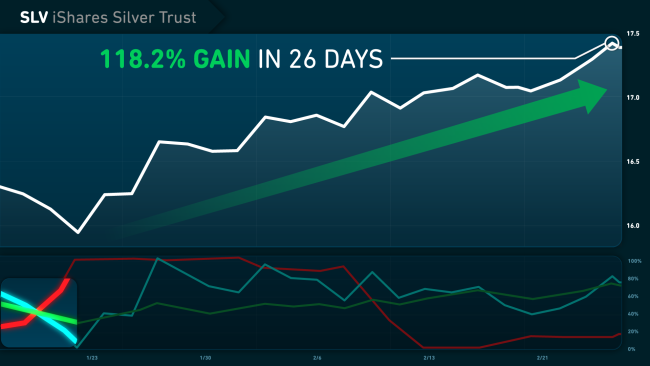 As soon as you sign up for Stealth Profits Trader, you’ll immediately get the two newest, exciting trades that I’m recommending based on what my STAR Profit System has just uncovered. And the letters I receive from my readers show that those trades could more than pay off the cost of your membership very quickly. Sam Kassedy made his money back in just one week. Don Billings told me he’s up more than five grand in no time at all. Robert Montrose earned 10 times that amount in six months. That’s an amazing amount of money. David Cooper did even better. He earned over $70,000 in his first few months on board. And one member, Gary Loest, even told us that he’s become a millionaire. And all you have to do to get these two exciting trade recommendation alerts IMMEDIATELY… is claim your spot right now. Remember the crazy guarantee I mentioned earlier in this presentation? My crazy, ironclad, wealth-building promise I’m giving you with your membership today. Until you personally experience the power of my STAR X Profit System and Stealth Profits Trader, it can be hard to fathom just how incredibly lucrative it can be. So, let’s quickly review the actual numbers. Since January of 2015, while there were obviously lesser wins and even losing trades … I still gave my readers 68 trade recommendations that resulted in triple-digit gains averaging a whopping profit of 131.6% each. And WAY MORE THAN DOUBLE your money every single time. Now as amazing as the percentages are… it’s the MONEY that matters. And one look will blow you away. Today you could be sitting on a massive $447,610 pile of profits. ALMOST HALF A MILLION BUCKS! Heck, even if you only wanted to invest half that much, you could still be looking at a life-changing $223,805 in profits right this very minute. 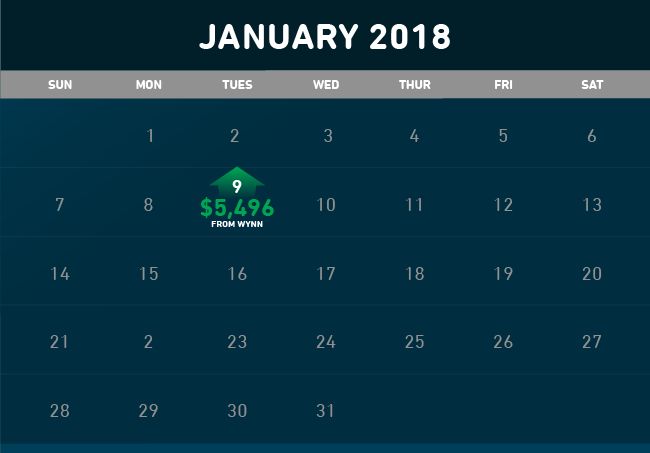 With some good luck and timing, that’s an average profit of $5,459 every month. $65,508 extra cash for you every year. Now obviously, I have no way of knowing how much you’re going to decide to invest, if anything at all. But I DO know what I’M going to do. I plan on handily BEATING my own amazing record. So I GUARANTEE that you will too! 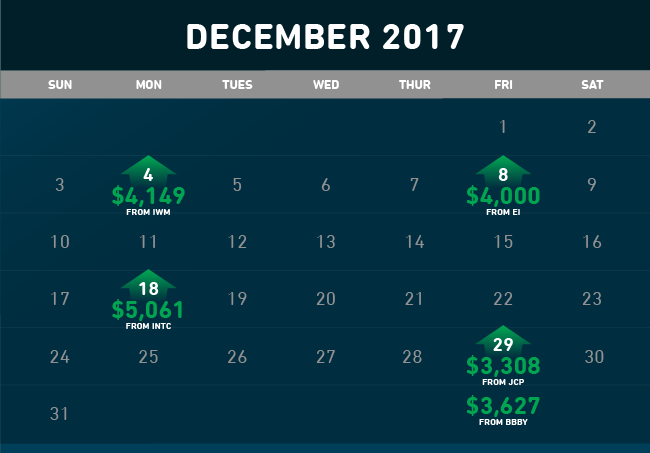 In the next 12 months – based on my track record – I will give you the opportunity to collect at least 30 triple-digit Pressure Point Payouts that add up to at least 3,948% in total gains! Enough to turn the most conservative $3,000 investments into over $117,000 profit… within one year! You just give us a call. We’ll return 100% of your membership fee. Every penny. 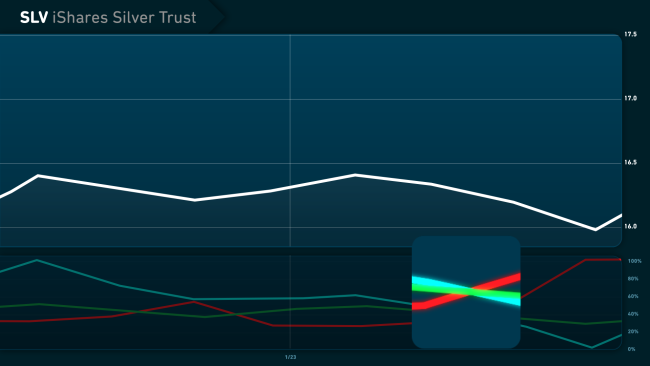 That’s how confident I am in the STAR Profit Strategy and Stealth Profits Trader. And as if that weren’t enough… I’ll even go one step further. I deliver, or I’ll work another year for you… FREE! I’ll extend your membership another 12 months. On the house. I’ll be working for you for FREE! So how can I sleep at night making such a crazy promise? Because this is the REAL DEAL. Every single thing I’m showing you today is 100% FACT. It has already happened or is happening right now. These are NOT backtests. These are NOT hypothetical numbers in some wishful wonderland scenario. 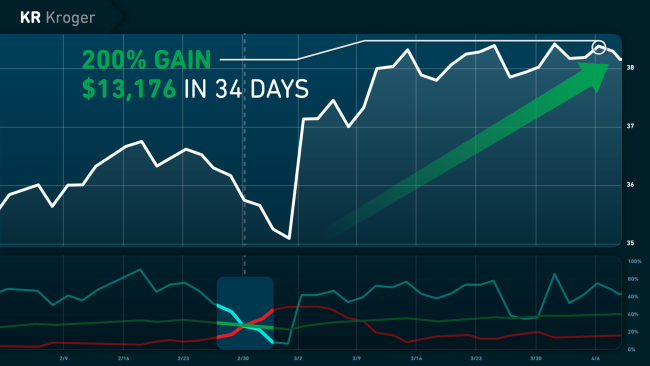 These are REAL results – earned over the last 41 months of unpredictable market starts, stops and stutters. Real recommendations that REAL Money Map readers have already been taking advantage of. That’s why I’m so confident Stealth Profits Trader could mean huge Pressure Point Payouts for you too… that I GUARANTEE IT. 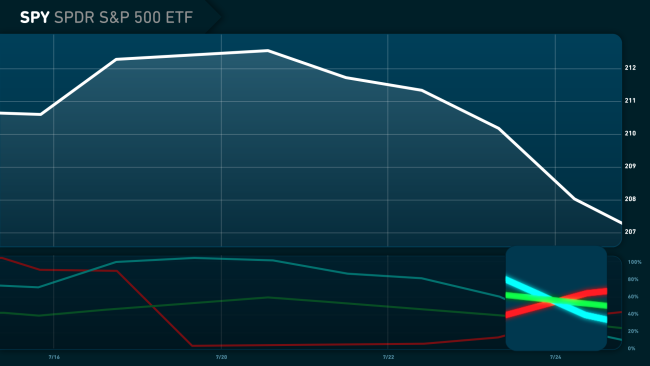 What will happen to your retirement plans if your stock investments don’t pay-off as fast – or as well – as you planned? Let’s face it, we’ve been riding a great wave. But sooner or later things will slow. Many people think much sooner than later. The market is already starting to whipsaw. The run-up can’t be sustained indefinitely. Stocks will drop off. If you only invest the way you are right now, it may take you much longer to reach your goals. You might even have to delay your plans for retiring as early and comfortably as you’d like. There is no faster, easier way than to allocate a portion of your portfolio to my Stealth Profits Trader recommendations. 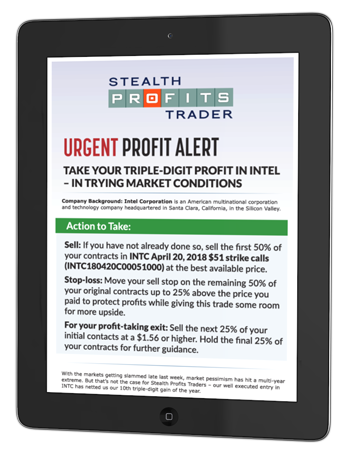 If you pass up this special Stealth Profits Trader Membership opportunity, you may NEVER see it again. There are only 500 membership slots available today. Period. That means everyone who wants the opportunity to start capturing winning bi-weekly Pressure Point Payouts may NOT be able to get in. Fortunately for you, it doesn’t get any easier. All you need to do is click on the button below now. I’m going to instantly discount your membership by $2,050. Plus, I’ll send you my two hottest new Pressure Point Payout opportunities within minutes. 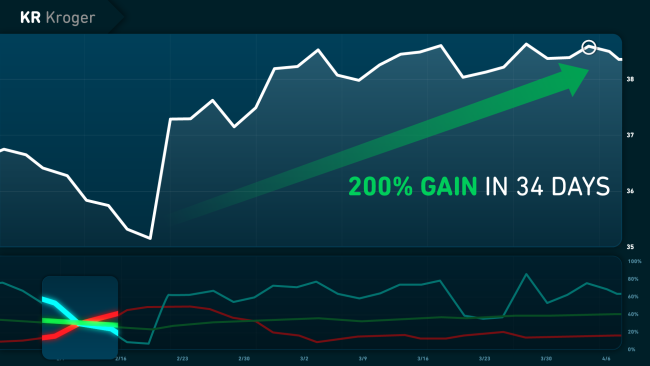 Plus, with my crazy money-back guarantee, I promise you’ll have the opportunity to pocket at least 30 triple-digit gains… and take home at least $117,000 in profits in your first 12 months. Remember, this special guaranteed discount offer will only be available for a limited time. And I have no idea when it will end. If you have any questions about the service and how it will work for you, I encourage you to contact our reliable customer service team at 855.509.6600 or (443.353.4770 international) and mention Priority Code: WSPFU725. The ONLY way to ensure you don’t miss out on this deal, is to click on the button below right now. My name is D.R. Barton, Jr., and I look forward to hearing from you today. Do you want a bigger house? A better car? More vacations? The ability to donate to the charities of your choice? 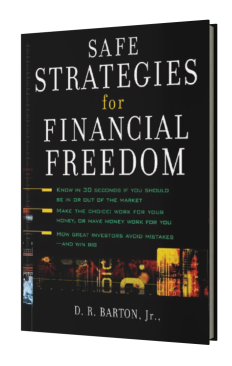 Stealth Profits Trader provides the day trading strategies that can make those goals happen. Join today to learn my system for stealth trading in today’s market. There’s limited availability, and I don’t want you to miss your shot. No matter your risk tolerance or initial investment, you can begin making money in the stock market immediately. For additional guidance, check out The 10-Minute Millionaire Pro.